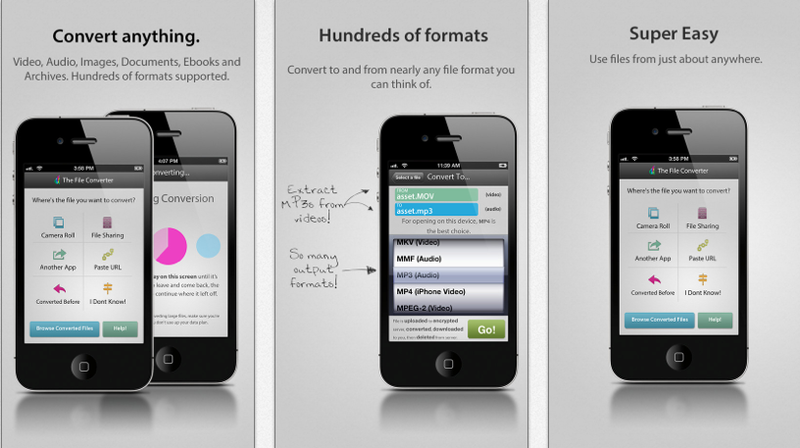 App Review – The File Converter. Today’s App Review is The File Converter by Ghost Mobile. There have been many times where I have landed myself in a situation where I have landed something in my Dropbox and left my Macbook at home without realising later that I will have to use a PC which many not be able to open a specific file created on my Mac. The most common issue I have is forgetting to export Pages documents to Word or PDF. My usual solution to this would be to open on my iOS device in Pages and export again. While this is a great and tried and tested solution I do need the Pages App. Another mistake would be forgetting to export something like a Photoshop .psd file which cannot be opened without the software itself. The File Converter is great in situations like this and will takes files from your email or iOS device. Below are the options available. The App may not be one I would use all the time but definitely one that I can see saving me in emergency situations like the one described above. I can definitely see the e-book and documente conversion options being very useful. The App costs €2.69 and can be downloaded from HERE.